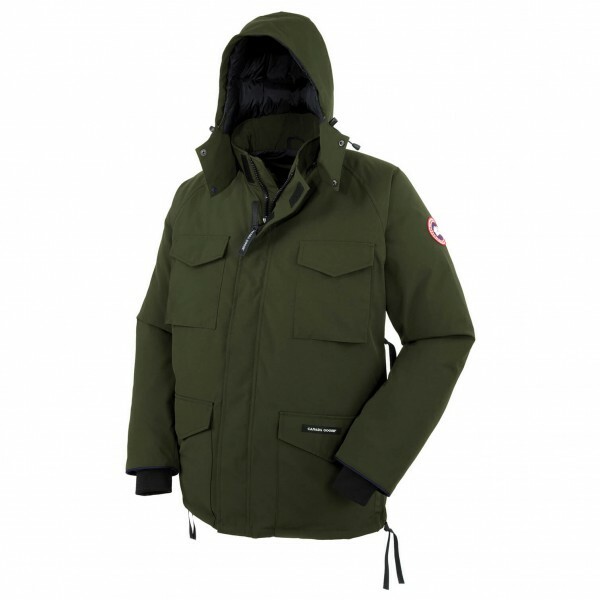 Get serious authority over cold winter weather when you pull on the Canada Goose Men's Constable Parka. This heavy-duty coat features fluffy duck down insulation and a tough Arctic-Tech shell to let you rule the cold with an iron fist. A zipper storm flap and a removable hood give you extra protection during frigid whiteouts, and the knit cuffs provide comfort while keeping out snow and cold air. Four large front pockets hold extra gloves and all your small essentials. The collar is not of sufficient quality for the price I paid. It is stiff and uncomfortable & crying out for some sort of lining, perhaps in sheep skin or natural fur, as seems to be supplied on other Canada Goose products. I don't understand why a coat costing this much money would seem to 'fall down' in this area, leaving your neck exposed to the elements & the wearer having to resort to using a scarf! I would, nonetheless, still recommend this coat because in all other respects, I am happy with it. Other models are known for their fur hoods or polar experience however in the real urban or countryside the constable is the best. `super warm but not overly, it's light rugged and has practical with side zips for pocket access or to ventilate. `other models run very big indeed. Even with the Constable I would recommend one size down from your regular ski or outdoor jacket brands.